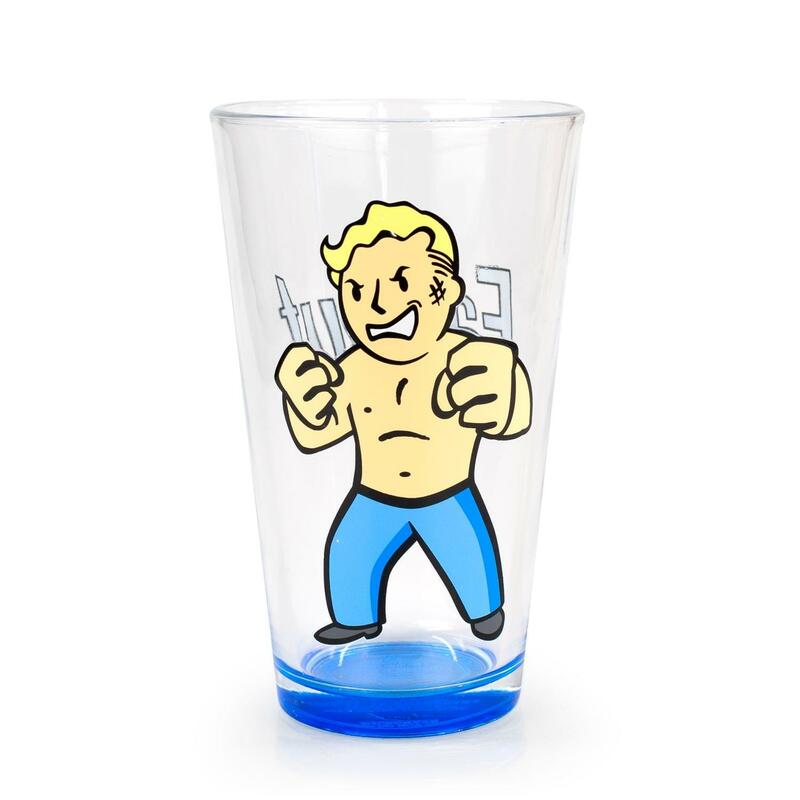 Show off your love of the hit video game Fallout with this officially licensed pint glass by Just Funky! Clear pint glass holds approximately 16 ounces and features the "Unarmed" skill Vault Boy graphic along with the Fallout logo. Sure to make a great gift for your favorite Fallout fan! 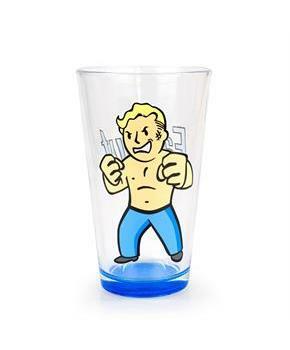 Clear pint glass features the "Unarmed" skill Vault Boy graphic along with the Fallout logo.